If you have never suffered from acne before, you should not worry about bodybuilding ruining your complexion. However, if bad luck strikes you with some blemishes here and there, lifting weights might make matters worse for your skin. It is a pretty awful situation, as it leads you to believe that you have to make a choice. A choice between a good body or a good complexion. With a lot of discipline and reliable research, you might eventually work things out and refuse to compromise. So, here are the three main areas that you need to pay attention to in order to continue working on your fitness and, at the same time, keep you skin acne-free. Testosterone is an acne stimulating hormone. Bodybuilding increases testosterone levels for about half an hour after you have finished your workout. This doesn't seem to pose too big of a problem, as testosterone levels quickly return to their default setting after exercising. Nonetheless, testosterone precursors, such as DHEA, are also elevated after lifting weights and it takes them several hours to get back to what they used to be. Acne patients have been found to have elevated levels of DHEA, which have been linked to an increased sebum production. What you can do: incorporate anti-androgens in your diet. Anti-androgens act as androgen-receptor blockers and have been used in the treatment of acne for a long time already. Think about oral contraceptives, spironolactone or cycproterone. Luckily, you can also find some plants that naturally contain anti-androgens and whose efficacy has been tested in several trials. The number one option is probably spearmint tea. Try drinking two cups a day and see if you can notice any change. Other anti-androgen plants include red reishi, licorice, Chinese peony, green tea, black cohosh, chaste tree and saw palmetto extract. According to Giugliano et al., a diet 'high in refined starches, sugar, and saturated and trans-fatty acids and poor in natural antioxidants and fiber from fruits, vegetables, whole grains, and omega-3 fatty acids may cause an activation of the innate immune system, most likely by an excessive production of proinflammatory cytokines associated with a reduced production of anti-inflammatory cytokines.' Now, a bodybuilder's diet is roughly a healthy diet, with an emphasis on lean protein, vegetables and complex carbs. Sugar and refined starches should not really be a problem for a serious weight lifter. It might be the case, nonetheless, that we are ignoring one not so obvious acne promoting food: dairy. Many bodybuilders use whey protein powders or casein products, which are both derived from milk. What you can do: give up dairy and mind the glycemic index and load of your meals. You can switch from whey protein powder to isolated whey or vegan protein powders. Use morning and evening creams that contain benzoyl peroxide, salicylic acid, azelaic acid or tea tree oil. Keep your pillow cases clean by washing them once or twice a week. Keep your phone clean by wiping it off with an antibacterial gel or tissue once a day. Seeing a dermatologist is always a good idea, so please do that if your acne is severe. Do not forget to tell your doctor that you lift weights, as this might give him/her a better outlook on your condition. Go Have Some Fun on the Day We Call Easter! It's nice to take a day off every once in a while and completely disconnect from all your tasks and to-do lists. Certainly, there is no place for fun on a to-do list. Fun just happens, so go ahead and make it happen today! Large scale holidays like Easter or Christmas are an awesome opportunity for relaxing without feeling guilty, because everybody around is basically doing just that. Normally, on such occasions, I have no regrets indulging in my favorite sugary desserts or other high-carb foods that I don't usually eat. This year, however, I really don't feel like it. There is no righteousness or discipline behind this, just the fact that I don't seem to get much pleasure from sugar anymore. I'm not going to count calories today, nor my protein or veggie intake. I will still go to the gym because this is something that I enjoy a lot and cannot picture a fun day without it. I will cheat on my diet, but only mildly. You know, there are some foods that are outrageously bad, like sugar. And others, like honey or dried fruit, which are not the optimal health choice but are definitely not the biggest nutritional villains either. So I've prepared the following Easter menu, which contains some sub-optimal, though not disastrously bad choices: Chinese dumplings; udon with dashi, poached eggs and scallions; organic and preservative-free nachos with salsa verde; black sesame pudding with honey and coconut milk; fresh fruit; sangria, Japanese beer and roasted coconut drinks. That's a lot of carbs for one day, but, the good (or bad) part is that this whole thing lasts for one day only. One of my favorite sayings is that you shouldn't give up what you want most for what you want right now. However, sometimes, it pays off to focus on the now and just do whatever feels good, rather than what should be done. 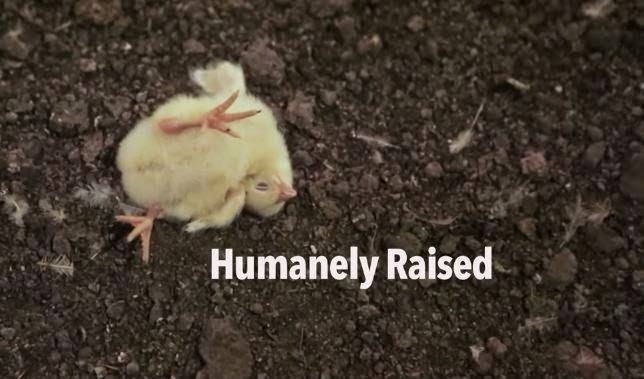 Does It Matter If the Chicken You're Eating Was Humanely Raised? I just don't get it. As long as you are going to eat a chicken, why does it matter how that chicken has been raised? The chicken's life might be a journey, but still... Is its ultimate destination completely meaningless? It's one thing to die, and another to die and have your body processed into unrecognizable bits that end up on on someone's table and plate. The fact that a chicken might be eaten or not upon its death is an apparently insignificant detail for the supporters of the humanely raised movement. But how could that be? Death is, in a weird way, part of life, and the way in which you die may cast a certain light upon the way in which you have lived. That's why we, humans, have such things as martyrs. Now, when it comes to chickens and our humanity in raising them, it doesn't make much sense to invest a lot of effort and resources in order to make a chicken's life more enjoyable just so that, in the end, you can roast it in the oven. If we are really serious about treating chickens and other animals humanely, then we proceed from certain assumptions that leave no room for picturing them as edible meat. A humane treatment presupposes kindness, compassion, some kind of empathy. Where do killing and eating fit into this scene? When chickens are indeed humanely raised, your very attitude towards them and their life will not allow you to eat them. A humane treatment encompasses attachment and it's hard to believe that most reasonable people would be able to eat the living object of their sincere attachment. For sure, eating humanely raised chickens will not help anyone other than ourselves. It will deceive us. It will make us feel that we're doing the right thing, whereas, in fact, we're making matters worse. Let me be more specific.This so-called humaneitarianism has been growing so much in the last couple of years up to the point that even big meat producers have decided to embrace it. Look at the Perdue Farms, for instance. Perdue was quick to adapt to the new values and needs of their costumers and, as such, they started labelling their chicken products as being humanely raised. Their chickens, however, are still raised to grow unnaturally fast and large, which makes walking impossible for them. The barns continue to be crowded and exceptionally dirty. Where is the humanity in all of this? We have to be honest about our values and expectations. The labor division within the food industry has alienated us from the moral implications that permeate our meals. Perhaps it is easier for us to eat meat that was raised under decent conditions as long as we ourselves are estranged from them and keep on thinking that the animal sacrificed for us had a relatively joyful life. Nonetheless, this does not change the fact that we are eating its meat. Whether it was humanely raised or not, you are still eating that chicken. And that's the only thing that matters, in the end. What Does It Mean to Really Help Someone? I'm seeing it everyday and I'm seeing it more than ever: people willing to help other people. This is amazing and it's the pinnacle of human altruism, probably the most precious gem on our moral crowns. 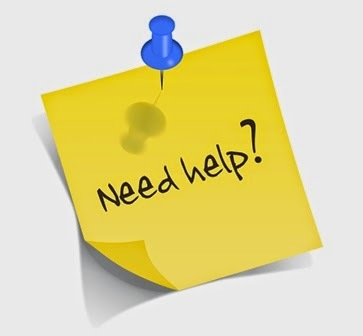 Not only that many of us respond to the perceived needs of others when our paths happen to cross, but there is even a trend nowadays to actively search for recipients of help. If you have any doubt that this is happening, just check out the recent story of the Dancing Man. After a 4chan post showed something that resembled the bullying of an overweight man's attempt to dance, a viral Twitter campaign was launched in order to identify the Dancing Man and help him. Help him feel better about himself, help him feel better about the story, help him dance, in the end, and be the dancing man that everybody knew he could be. It took many hashtags to find the Dancing Man. It took the power of a relatively large group of ladies whose self-declared aim was 'to do something special'. It even took a couple of celebrities on board, who offered their support, blessing and free DJ services. Finally, help could be offered. The Dancing Man was found, a party was organized and our hero had his chance to dance. While there's enough Twitter evidence to safely argue that the helpers were ecstatic about the help they were able to give, we don't really know much about how the Dancing Man himself really felt about all this story. His after-party tweet seems anything but enthusiastic: 'Trying to keep low profile!! Turned down couple interviews yesterday as well. Promise will provide interview when there.' Hangover or something deeper? I recently googled 'helping others'. I was extremely curious to see what people thought about what helping others really meant. On the first results page, I came across articles with titles such as 10 Ways to Help Others That Will Lead You To Success and How Helping Others Can Reduce Stress and Increase Happiness. So, my intuition, recently fuelled by the whole Dancing Man story, wasn't failing me after all, pointing towards a sad, though realistic, conclusion. Helping has ceased to be something that we do primarily for others. We do it mainly for ourselves. Because it reduces stress. Because research has shown that people who help other people tend to be happier and to live longer. Because it makes us feel good about ourselves. But is this really what helping others should be really about? In a relationship focused on giving and receiving help, which part should set the ground and parameters for action? The helper? Or the helped? I would say it is within the prerogatives of the helped to define the object of the helping relationship. Otherwise, a helper might very well offer you an extraordinarily tasty chocolate while you are dying of thirst. Or a beautiful pair of shoes that might suit you just wonderfully were they three sizes bigger. You cannot offer a person whatever you are ready to get rid of and label it as help. It just doesn't work this way. Call it 'offering' at most, but definitely not help because it isn't. Helping someone amounts to responding to a well-defined need of a person. Fulfilling this need might come at a greater cost for you, because if it is a real need, chances are that most of us experience it as well, which also includes you. But this is genuinely what help amounts to: the type of action which might leave you missing something (an object, a state of mind) because you took the time and effort to put yourself into someone else's shoes - which is never easy - and fill a gap that made a difference. Whatever method brought the person you admire most in your field to the position that he or she is in right now, is probably going to work for you as well. When it comes to fitness, many of us are looking for shortcuts. We believe the promises of chocolate diets, of potato diets (yes, there is such a thing as a diet relying exclusively on potatoes). We hope that lemon water, green coffee, green tea, raspberry ketones and what not will sculpt our abs to perfection no matter what else we eat. But it’s all an illusion. These ways of approaching fitness and bodybuilding are neatly inferior to what real bodybuilders actually do. They count calories, they rigorously track their macronutrients, they eat every 2 or 3 hours, they prep their meals and carry them around, they exercise according to well-balanced plans, they monitor their gym progress and keep on challenging their body so that their routine does not become too easy. So, next time you are disappointed about your goals in a certain field, try looking at what the best in that field are doing. Chances are you will be able to grow by incorporating some of their activities in your routine. The fact that you can’t reinvent the wheel doesn’t mean that you cannot tweak it to your advantage. This wheel that I keep referring to is the broader perspective on how things should be done. Its details, however, are not set in stone and you can have a lot of space for maneuver in this respect. For instance, when it comes to fitness, not everybody should break down macros in the exact same way. Some will eat 1 g of protein per kilogram. Others will eat 1.4 and still others even 2. Also, you can choose your protein from animal or vegan sources. You could have chicken breast and egg whites to fit your macros, but you could equally opt for lentils and beans. In the end, it is up to you on how you decide to implement the method that will help you reach your goals. You are not what you want to do. You are not what you do every now and then. You are what you do every single day. Consistency is the key for any human enterprise. Getting your weekly exercise from working out for 5 hours in a day will not deliver the same results as working out 1 hour per day for 5 days. Muscles need rest to recuperate and grow. After this small break they need to be stimulated again. The faster this cycle, the bigger your gains. Similarly, learning a foreign language for 5 hours in one day, as opposed to 1 hour per day for 5 days will hinder your learning process. For once, memories are consolidated during sleep. Also, you have more time to think about what you have previously acquired and can practice more, either consciously or not. I once read that those whom we usually call winners are simply the people who have failed the most. In other words, winners are the biggest losers. It sounds a bit counter-intuitive and it might as well be. Not all losers need become winners. But those losers who are aware of their losses, who analyze the roots of their failures and their entire set of reactions surrounding them, those losers are on the way to becoming real winners. They just need one more ingredient: perseverance. So, if you fail at your goal, are aware of it, know why you failed, but try again and again and again until you finally get it right, then respect! You are a winner!